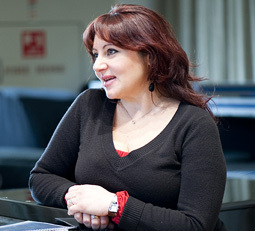 Born in Tirana, Albania, in 1969, mezzo-soprano Enkelejda Shkosa made her debut in Strasbourg in Pergolesi’s Stabat Mater. She went on to study in Milan and won the Leyla Gencer international vocal competition in Istanbul in 1996. 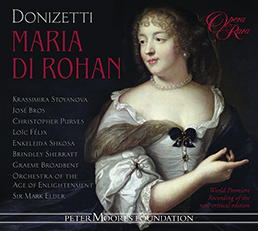 She has sung in all the major Italian opera houses and in Il viaggio a Reims at the Pesaro festival. 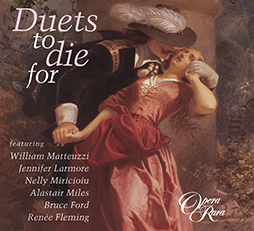 Further afield, she sang in Jonathan Miller’s revived Royal Opera production of Cosi fan tutte in 1998, Verdi’s Otello under Sir Colin Davis in 1999, and was Angelina in La Cenerentola at the Theatre de la Monnaie, Brussels in 2000. 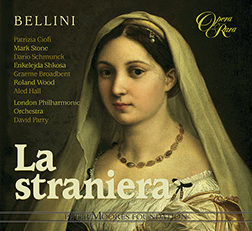 She can be heard in the role of Emilia on Opera Rara’s recording of Rossini’s Otello and on La Potenza d’Amore.